Julie Mughal – The Susie Reizod Foundation, Inc.
Julie Mughal is currently the Assistant Director of the Center for Faith and Public Life at Fairfield University. Julie received her B.A in political science from Syracuse University and her M. A. in international experience, Phi Beta Kappa. She has over 15 years of international experience. Prior to her position at Fairfield University she worked for seven years at Save the Children where she served as a Senior Manager in Development Communications. 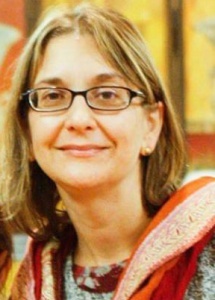 Prior to this, she served as the Asia Operations Manager for Save the Children, which included postings int he Connecticut-based Headquarters, Pakistan and Afghanistan. Julie also spent eight years a the International Organization for Migration (IOM) office in the Africa region. She is the author of a number of migration-related articles as well as on the plight of widows in the developing world. Julie lives in Connecticut with her husband and two children.